Missouri Education Watchdog: Fuzzy Math Coming Home to Roost in Common Core State (sic) Standards? 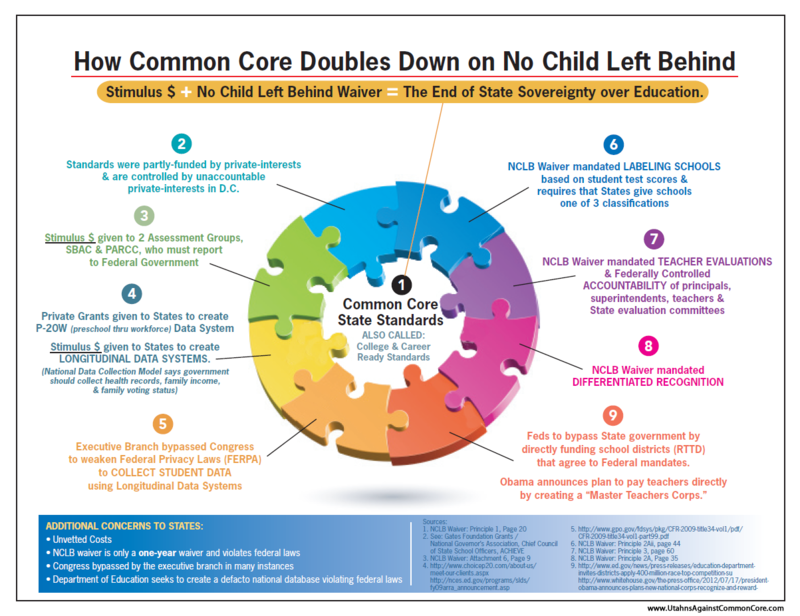 Fuzzy Math Coming Home to Roost in Common Core State (sic) Standards? The 2005 Base Closure and Realignment Commission may have achieved recurring annual savings, but flawed cost estimates produced a doubling of anticipated expenses, the Government Accountability Office reported on Thursday. Auditors also recommended improved methodology for predicting new costs in base construction, information technology and personnel during future BRACs. In projecting savings from base closings and related infrastructure adjustments, the Pentagon uses a quantitative model known as the Cost of Base Realignment Actions. Overall, GAO said, that tool is reasonable, but in many instances planners underestimated costs--military construction costs increased from $13.2 billion estimated by the BRAC Commission in 2005 to $24.5 billion after implementation ended in 2011. To improve the accuracy of projecting future BRAC savings, auditors recommended that the Office of the Secretary of Defense identify suitable measures of effectiveness in achieving savings and set a target for eliminating excess military infrastructure. GAO also recommended legislative changes to the BRAC statute to give Congress greater visibility of the potential savings. Defense officials, reviewing a draft of the report, disagreed with five of its 10 recommendations, citing a need to stress military value over simple savings from capacity reductions, and attributing more of the changes in the estimates to requirements added later in the process. The Obama administration, in its fiscal 2013 defense budget, asked Congress for a new BRAC round, but lawmakers were not receptive. Implementation costs of the 2005 round exceeded the initial 2005 estimate of $21 billion by 67 percent. Obviously, they used the same method that has always been used by the US Government, namely - use the absolute BEST CASE scenario when planning so they can show the most savings from a completely idiotic plan, then pretend surprise when the savings don't materialize, but the costs to the taxpayer multiply geometrically!! As long as we keep electing people whose main loyalty is to their own power and the power of businesses, and not to the taxpayers who voted (by the way, if corporations, etc. are persons, then why can't they vote? Oh, I forgot, they put millions into the lies broadcast by PACs so they get lots of votes from people who can't be bothered to find out what's real!) them into office, we are going to have this kind of corrupt idiocy from our government! Until they make it so that the folks on the commission are personally responsible for their decisions it will be a joke. Imagine if upon finding that things weren't done right they could go in and take all of the personal assets of the BRAC commission members then this will not happen. Could this be the reason the CCSSI standards are copyrighted and have a disclaimer (noted below) stating the organization can't be sued if the standards don't deliver as promised ? At least with BRAC, there was at least an implementation cost estimate. 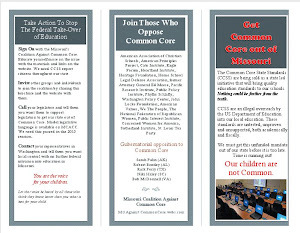 Missouri DESE has not yet officially given the Legislature a figure on the CCSS cost to taxpayers and school districts. Is this sound practice and operating procedure? The GAO recommended legislative changes to give Congress a better visibility of potential savings. 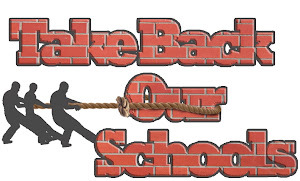 The Missouri legislature needs legislative oversight on how the governor and DESE want to spend taxpayer money and on specifically what programs so this fuzzy math issue is not a concern.